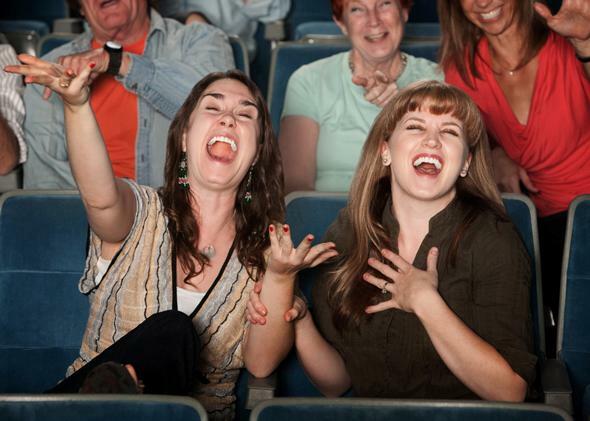 Cyranos McCann is deploying facial recognition to charge per laugh at comedy club. All that LOLing is gonna cost them. When you pay to go to a comedy club, there’s an expectation that the show will be … funny. Right? Except that expectation is really more of a hope—standup is pretty hit or miss. Unless you’re seeing someone really exceptional, you’re probably in for an uneven ride. And a Spanish comedy club only wants you to pay for the parts that get you laughing. At the Teatreneu club in Barcelona, tablets on the back of every seat run facial recognition software to track how often audience members crack up. According to BBC News, at the end of the show each person gets charged about 38 cents per laugh, for a total of no more than about $30. That means the club thinks people are going to laugh about 80 times per show. Ambitious. Teatreneu is working with the Cyranos McCann, an advertising agency, to see if it can use the novel initiative to bring audience numbers back up. In Spain, taxes on tickets for entertainment like comedy have reduced crowds in recent months. Teatreneu told BBC News that ticket prices are up about $7.50 since the club started using software to track laughs, and it has also added a mobile payment app to make checkout quicker. It seems like a great idea for those awkward sets where a comedian bombs and the audience is feeling kind of ripped off, but it could cause problems if people try not to laugh on purpose so they won’t have to pay as much. Check disputes could become a matter of arguing about whether a facial expression was mirth or pity. Plus it could be embarrassing to compare ticket costs with friends and find out that you paid $25 and they paid only $3.